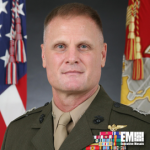 Maj. Gen. Steven Rudder, director for strategic planning and policy at the U.S. Pacific Command, has been nominated by President Donald Trump to serve deputy commandant for aviation at the U.S. Marine Corps headquarters. The Defense Department said Wednesday that President Trump also endorsed the promotion of Rudder to the rank of lieutenant general. Rudder previously served as commanding general of the 1st Marine Aircraft Wing as well as supply officer and platoon commander of the 3rd Amphibious Assault Battalion. His previous assignments have included roles such as maintenance quality assurance officer; weapons and tactics instructor; logistics and operations officer; future operations officer; and military assistant at the office of the secretary of defense, among others. 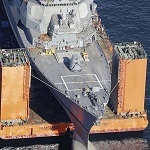 Rudder was also deployed to Japan, Afghanistan, Pakistan, Qatar, Iraq and the U.S. European Command and Central Command‘s areas of responsibility.